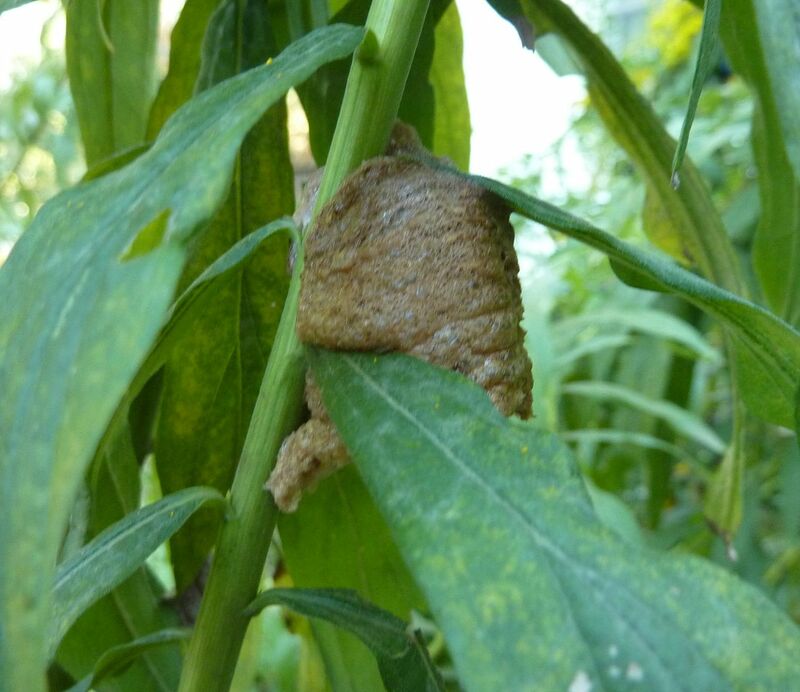 So this is the Goldenrod monster that lives in my backyard. 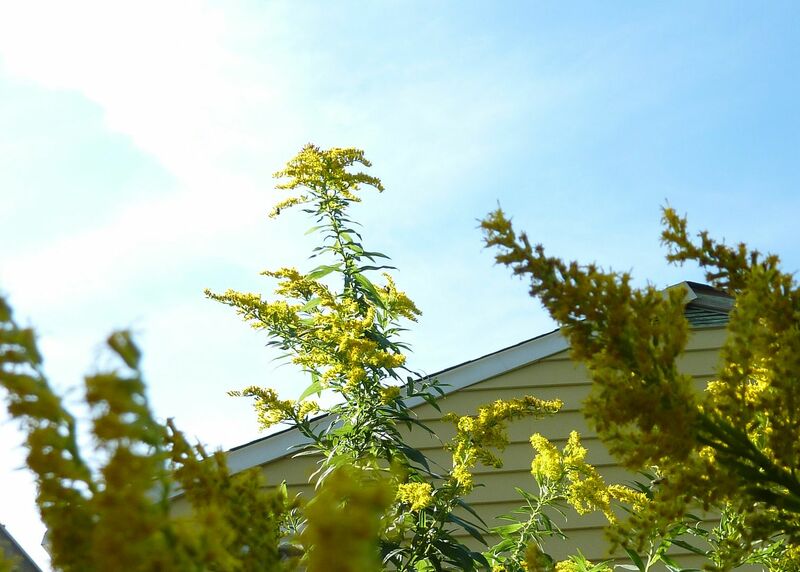 Solidago altissima, Tall Goldenrod is identified as growing 5' tall, though this plant is a noted exception at 10' tall. For those gardeners who love having really tall perennials this is a must have. My only complain is this year the storms were harsh enough that it fell over. Thankfully though this plant flowers late enough in the year that it doesn't matter to much. Considering most other perennials are dying back for fall, somehow a 10' tall plant shading them out isn't so bad. 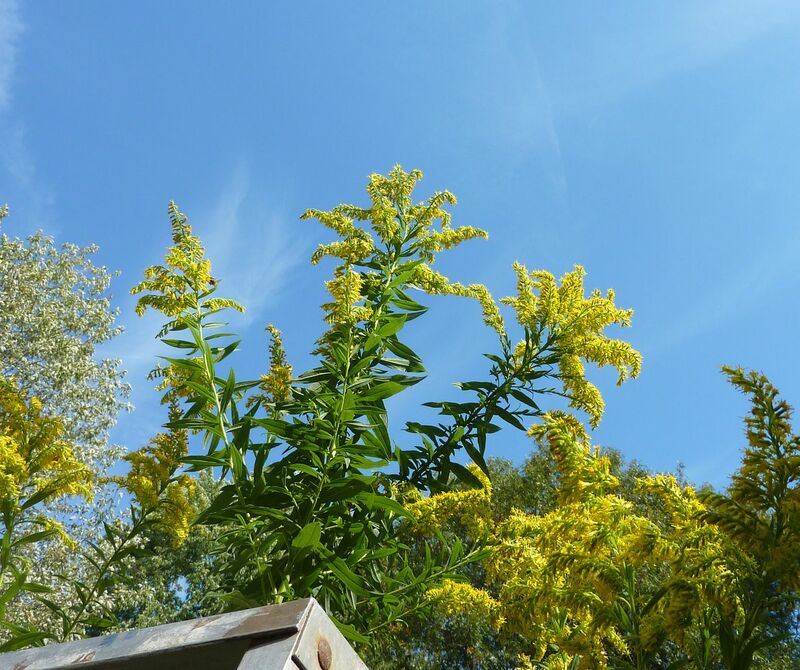 Although this year I've resorted to using two ladders to prop these plants up, on other years they stand tall and flower beautifully. 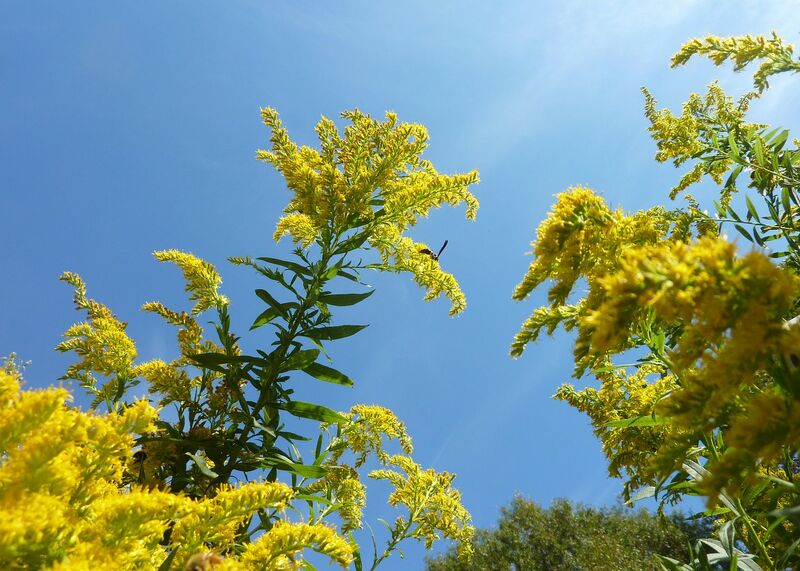 A diversity of insects use this plant as one last taste of pollen and nectar before winter sets in. Megacyllne robiniae, The Locust Borer. 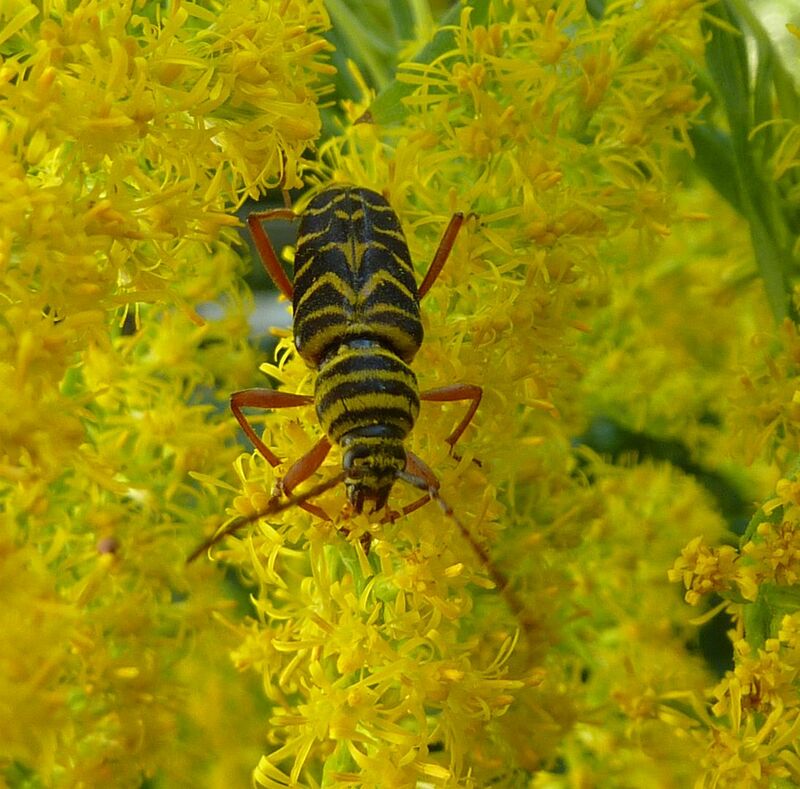 Goldenrod is a common food source for this beetle. Though considered a pest it's a native species that feeds on a native tree, Robinia pseudoacacia, Black Locust Trees. It makes sense that they're around here as all the beekeepers look forward to the Locust bloom as a major boost in honey flow. The larva feed on the tree wood itself boring tunnels through the trunk. This makes them susceptible to wind storms and breaking and that can lead to disease setting in and shortening the life of the tree. Thankfully there's also the Honey Locust Tree, Gleditsia triacanthos, which is not effected by this beetle. 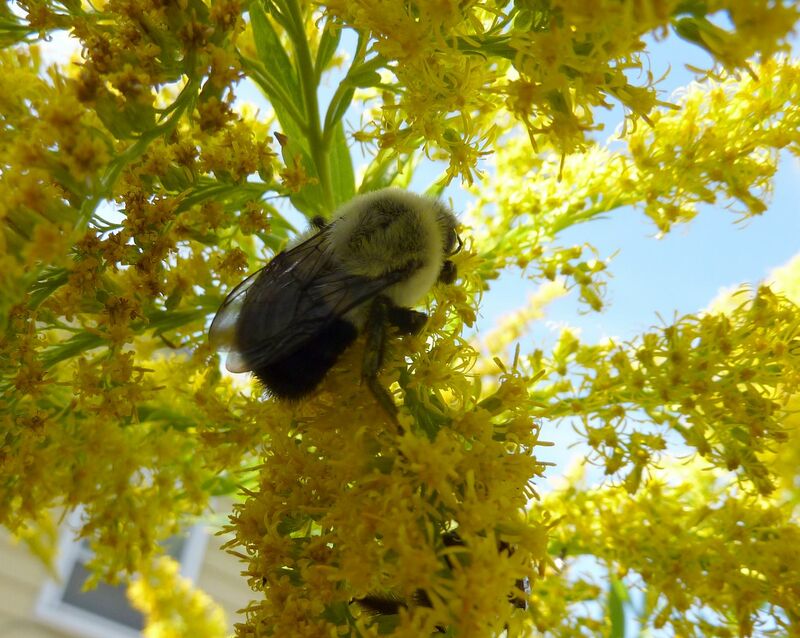 Buzzing around is what's likely one of next years Bumblebee queens. I think the species is Bombus impatiens. 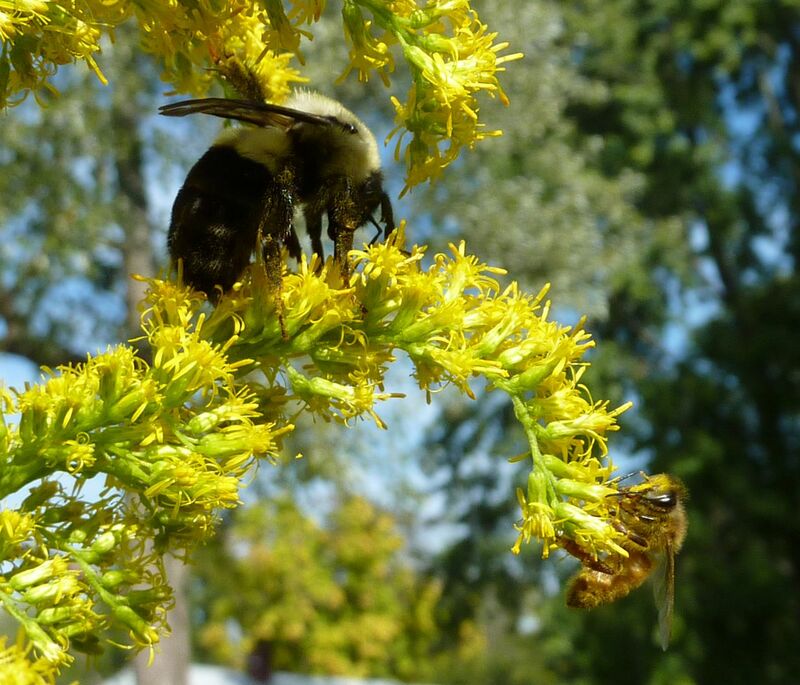 Here they get one last taste of nectar before having to hibernate over the winter and trying to found a new hive next spring.